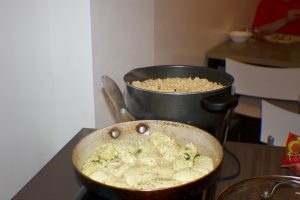 Home / Blog / What’s Cooking at the McGaw Y Men’s Residence? What’s Cooking at the McGaw Y Men’s Residence? 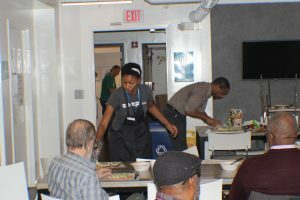 A new program gets residents in the kitchen while building community. 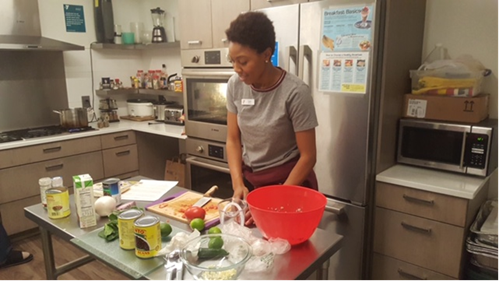 Taylor Jackson, Camp Echo Registration Specialist, was applying to grad school for nutrition and dietetics at UIC and needed experience working with food and different demographics of people to strengthen her resume. 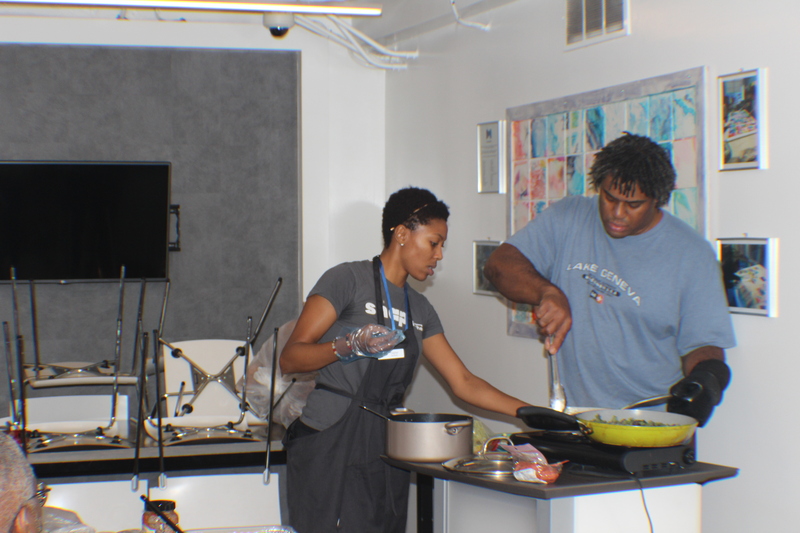 She began reaching out to food corporations to get that hands-on learning, but wasn’t hearing anything back. Feeling inspired to create her own opportunity, she used her interest in food and how it affects the body to form the idea of monthly cooking demonstrations at the Men’s Residence, a program that began in November 2018. Many residents rely heavily on microwavable meals, so Taylor came up with a plan to teach quick, easy meals that take 30 minutes or less or that individually cost $20 or less. Some past meals include a vegetable stir-fry and microwavable personal pizzas. Another important aspect of the cooking demonstrations is that they are inspired by what the residents want to learn about. Taylor distributed a survey before the first demo asking their preferences and found that they were very interested in on-the-go meals, meal prepping, and healthier alternative foods instead of meat, something she is passionate about as a vegetarian. So far, the feedback has been highly positive, and the turnout has been significantly higher than past Men’s Residence programs. 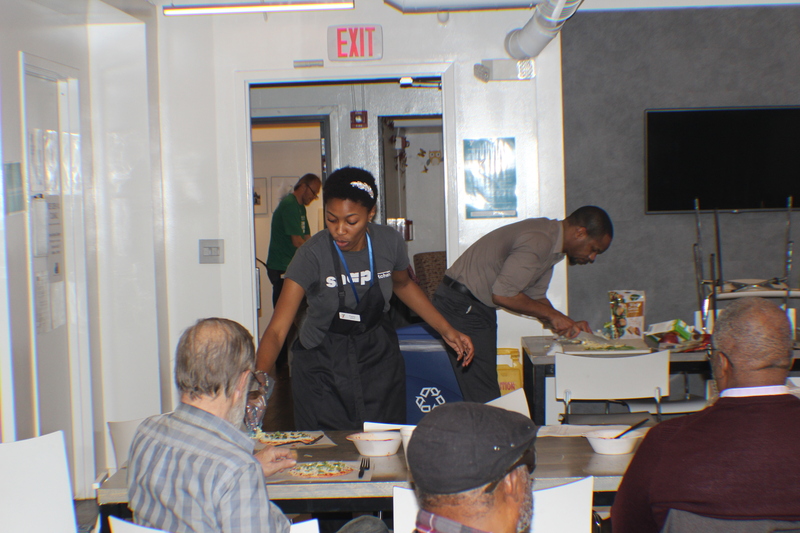 The cooking demonstrations give residents the chance to get to know other residents, while learning about the value of nutrients in one’s daily consumption. 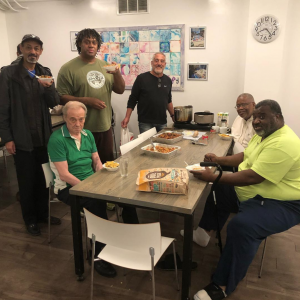 Many residents are always willing to help cook, stay after to clean up and make sure Taylor has food to take home with her. Taylor believes that the program is a constant work-in-progress and is always looking for different ways to improve. To learn more about nutrition, follow Taylor’s health and wellness Instagram page: @wayh_the_community —W.A.Y.H is an acronym that stands for why aren’t you helping, her personal page that promotes ways you can treat your body better.